Often when talking to people about trainers and instructors and I say that Im still looking for some more local trainer to train for. But that I have a hard time finding one, and people keep saying “well I can understand that at YOUR level”. And for me that is such an odd way to look at it. Im not even at my level, or the level they think I am, I think. If that makes sense. If I want to be at the top, why should I train for anything less? It may sound smug, and its not that I dont train for instructors that is not at a certain level. But why should one think that “Im not an elite rider so it doesnt matter” or “Im not an elite rider so Im not good enough to be a student for that person”. Its such a weird thought for me. As I said, I dont choose trainers after merit, I dont look at dressage scores or what they do. I look at what type of shape they teach, and then when I ride for them I assess how far I think they can take me. Do their teaching makes sense to me? 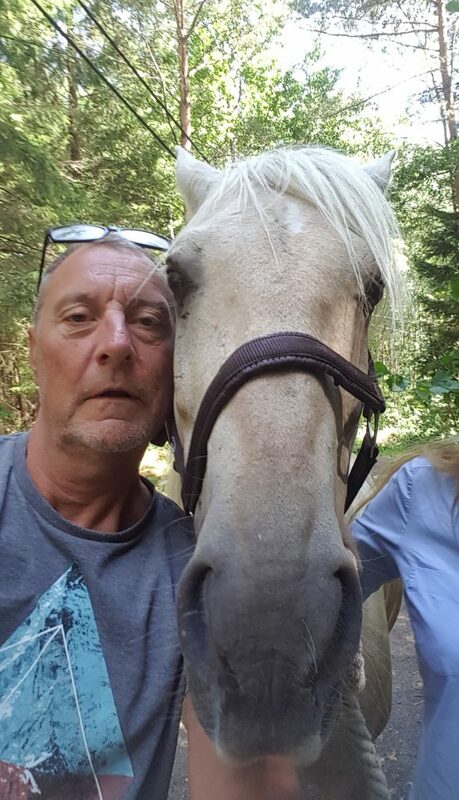 Am me and the horse having fun? Am I getting pushed? Because I want a trainer that sees our potential and get us their and can see how much both me and the horse can be pushed. Because if I know I can just be given a direction and a push in the right moment me and the horse can do things we only dream about. So dont put yourselves down people. Go and train for the best, that is how you become the best! I wish this week had more hours. On Friday me and some friends are road tripping to Germany to attend a harnischfechten symposium. Not only do I think the weekend will be awesome, but Im so happy to be going with the people I am, I think we will have a blast! Im trying to think of what I need to prepare and it isnt that much, only I need to clean the car, and that is a major thing… So I will probably have to miss one of the training this weeks. 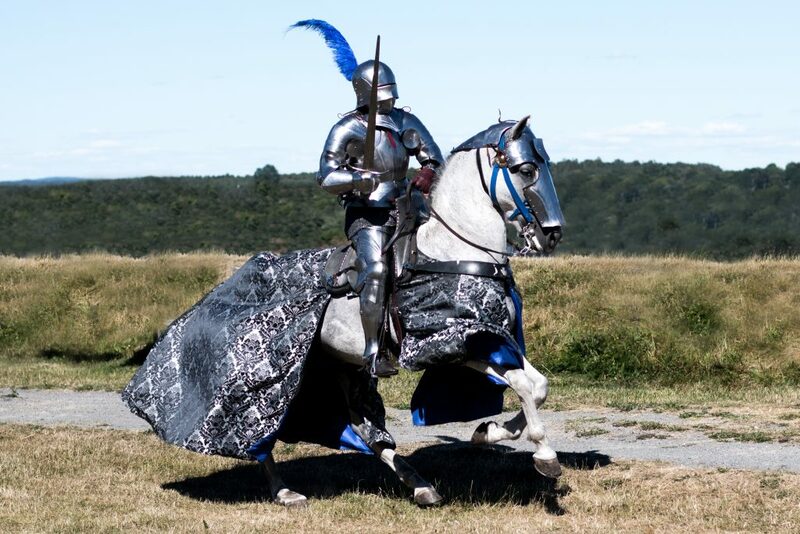 But, I will have a whole week of sword and armor, so I think its an okay trade off. 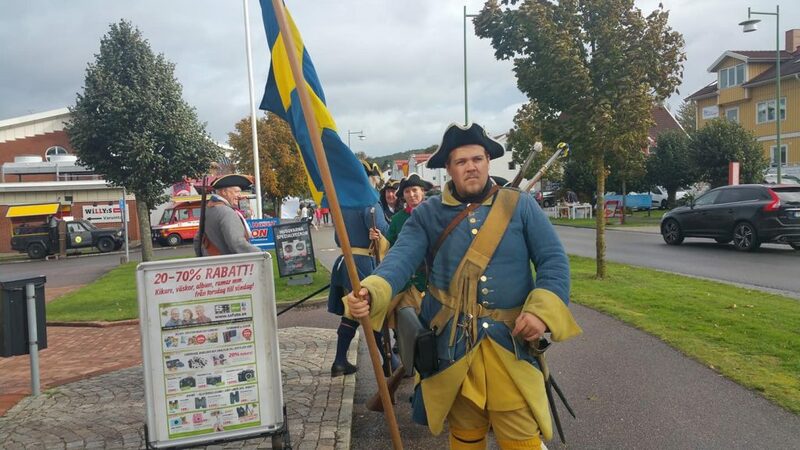 This weekend I was marching around in a small suburb to Gothenburg dressed in uniform. 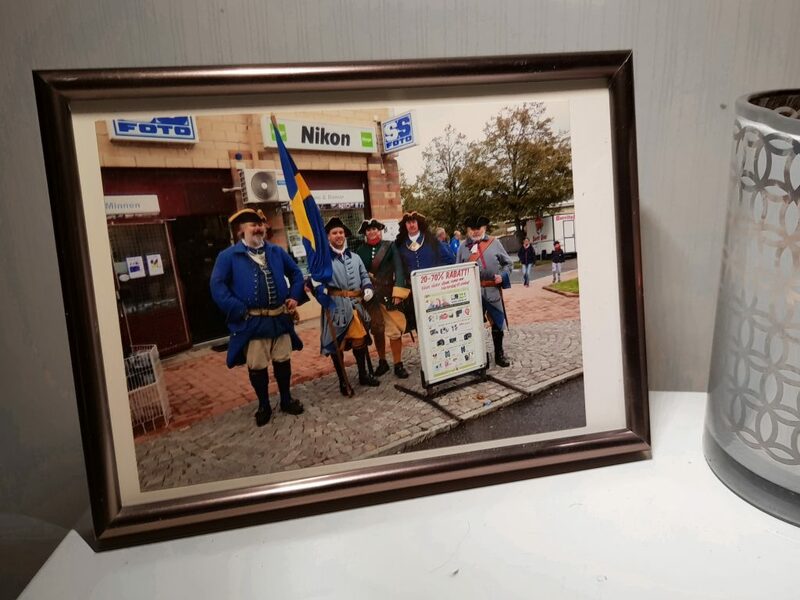 It was an autumn fair and our Carolean group had been asked to go around and give abit of flair to it. Unfortunately the weather was against us and was pretty rainy. Luckily we were not shooting, only marching around and talking to people. My gun was seriously rusting as I was looking at it. 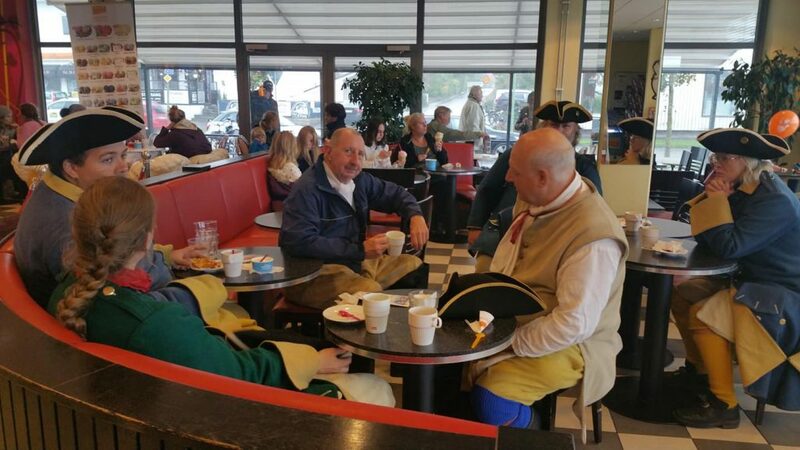 But we talked to people, got photographed, drank coffee. On Sunday we ended it with going to an ice cream bar that was on the street and had some well deserved ice cream, it was really nice. 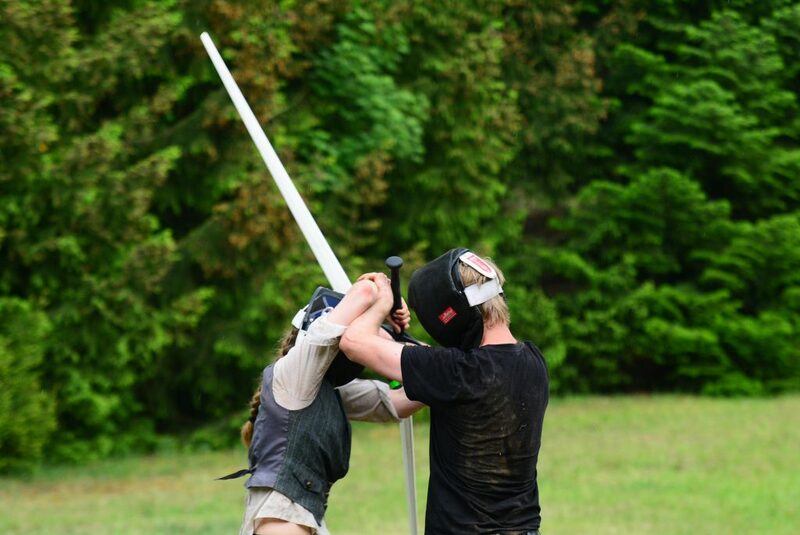 I also trained some longsword with the Gothenburg Freefencers guild. It was my second training with them but it was really fun, we did some footwork and I really need to start doing more excising focusing on flexibility in my hip. Because Im getting the strenght, but really feel my stiffness is hindering me. To bad I will be gone for two weekends (they train on Sundays), but it will be other fencing related things, so it will be fine. 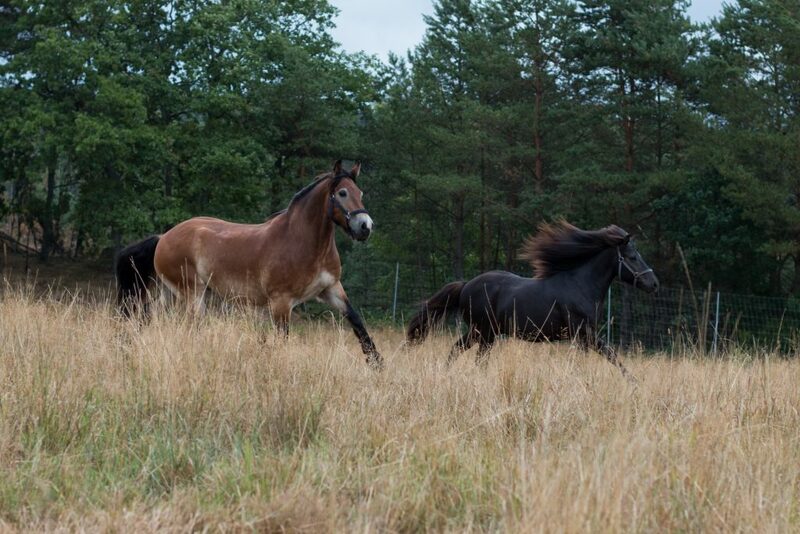 Today Hugin and Lukas, two horses in the stsble was taken up to one of the forest pastures to get to play some. I have layed low a little with my online activity, not completely gone, but just, taking a little break, finding the joy in it again, having some vacation time. I spent time out in my family cottage on an island in the archipelago, just swimming in the ocean, enjoying the sun, solving cross puzzles, beating my little brother with swords, you know the usual summer things. But now Im back home in Gothenburg again, which actually feels nice. I really missed my horse! My life is weird, because it really goes in cycles, which I should know by now, but for some reason I never learn. So in the beginning of summer I was a little down, because my calender was, like, empty. 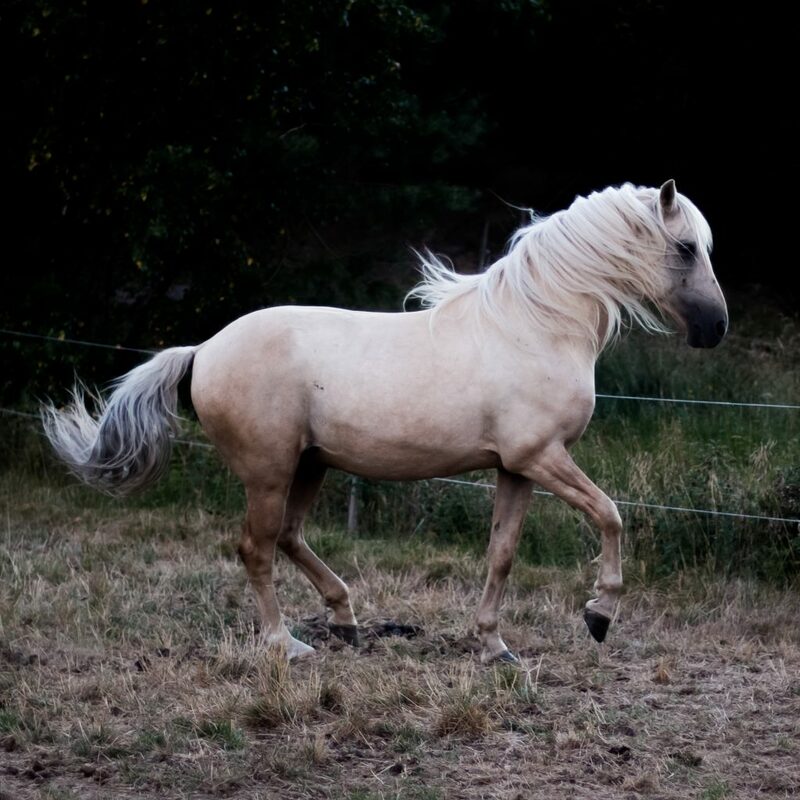 There was not much training, not much for my horse, I dont know, everything had just ended and I felt, like abandoned. I must say, the feeling was not justified, and I dont really know why I felt like it, maybe because I just for the first time in a long time had… well time? 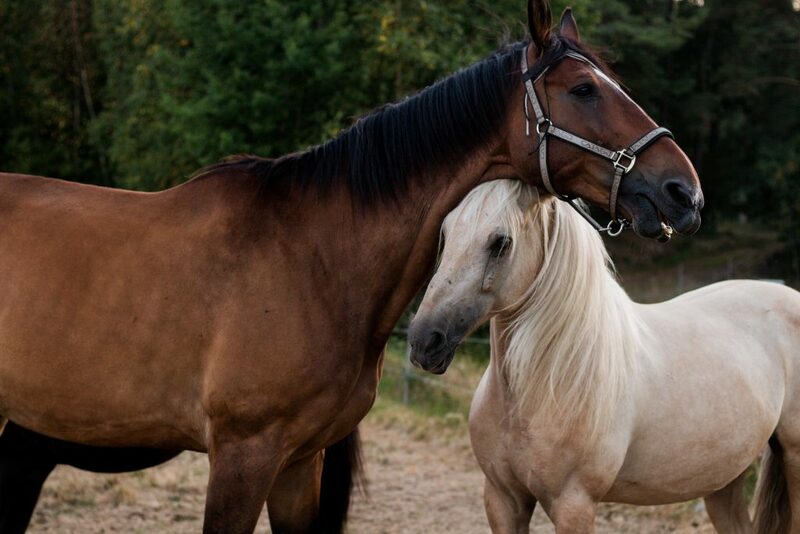 And for a while nothing went really smooth, the horse was acting up, the car was acting up and so on. Anyway, then, now, its crazy. I dont even want to look in my calender because Im double and triple booked for all this fun amazing stuff! And I met and meeting all these amazing people, and Im like, why was I ever feeling down? Why didn’t I just take that window of free time to just recharge and take a break, instead of feeling sorry for myself? 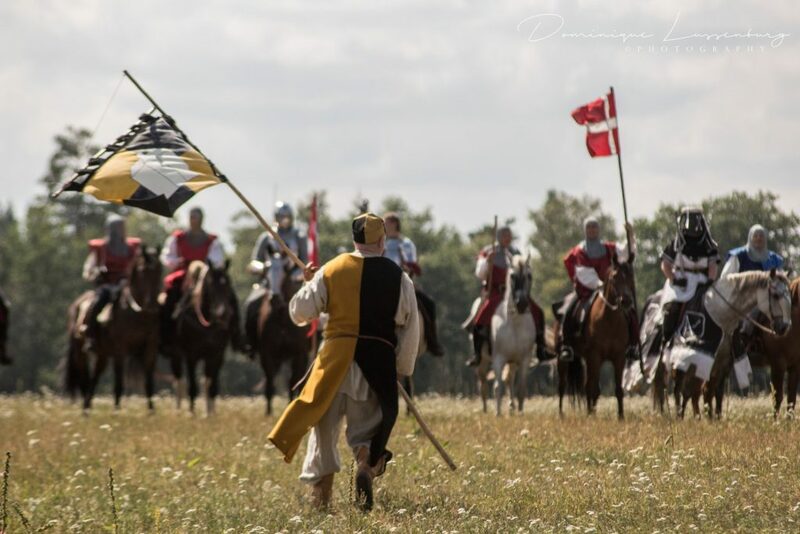 So back to crazy Linda-life, with going to Germany to perform with my reenactment group for four days in Germany next week, then weekend after that is Norway and then it just is an ball in motion… I think it is going to be a really cool autumn! As I may have said before Talhoffer had have some issues with the trailer. So me and a friend have been practicing. Last week we drove away from the stable, just a km or so, to unload, and try loading again. In the stable he has gone straight on, no problem. But at the new place he refused, then it took maybe 30-45 minutes to get him on again. 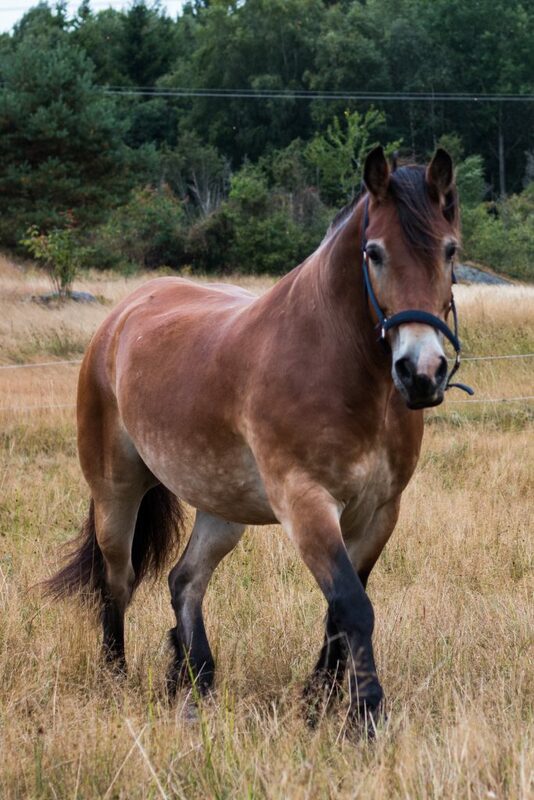 So we tried again yesterday, where he went on perfectly, we drove off, but to a new place, but still just a km or so from the stable, and then unloaded. Then tried loading again, he was hesitant for a second, but then just went straight in and I could manage everything myself! I was so happy! And during everything he was much calmer then he ever been before. Then afterwards we went on a hack, and sure Talhoffer had some speed in his step, but on the trail I could do shoulder in to travers transitions, really nicely. Some real progress! On to this morning, where I drove off to be in the stable at 05:00 to meet the farrier. Talhoffer didnt freak out once! 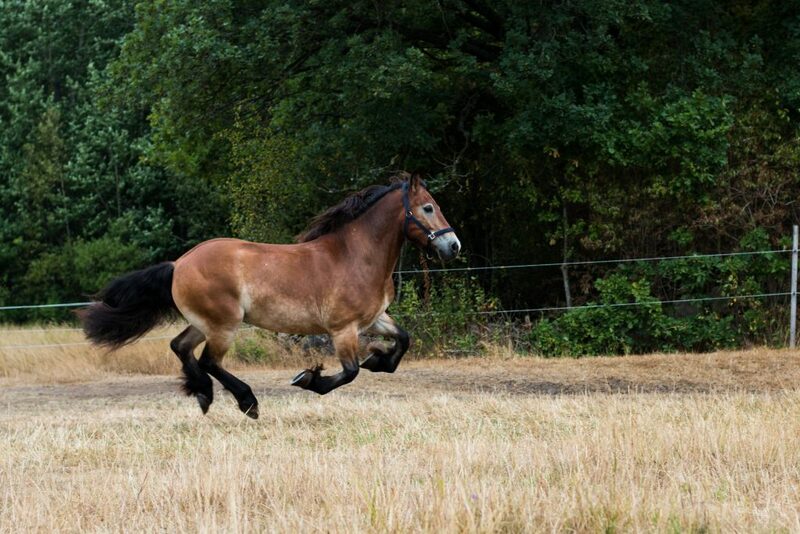 That may be totally normal for other horses, but for Talhoffer its big progress! Sure we didnt put any shoes on the back hooves, but still. Last time the farrier could hardly even get near the back hooves. So I just feel like, yes we are making progress! 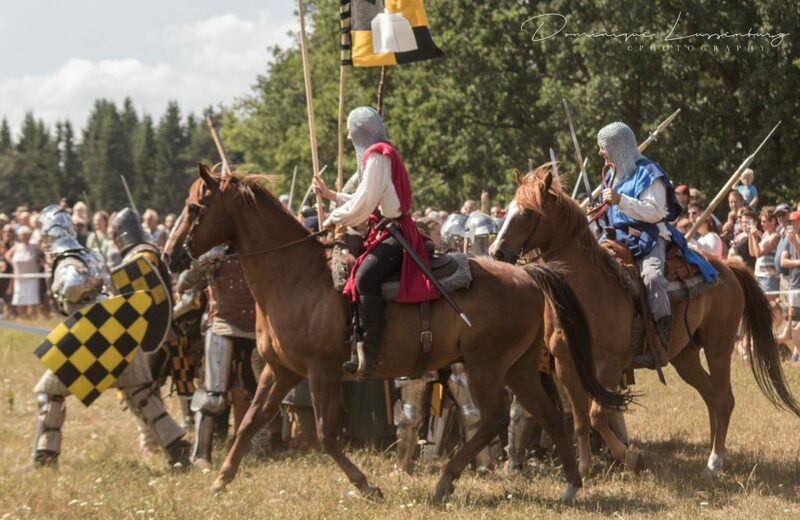 This weekend it was the Torpa stenhus medieval days, and my cavalry reenactment group performs at the event. 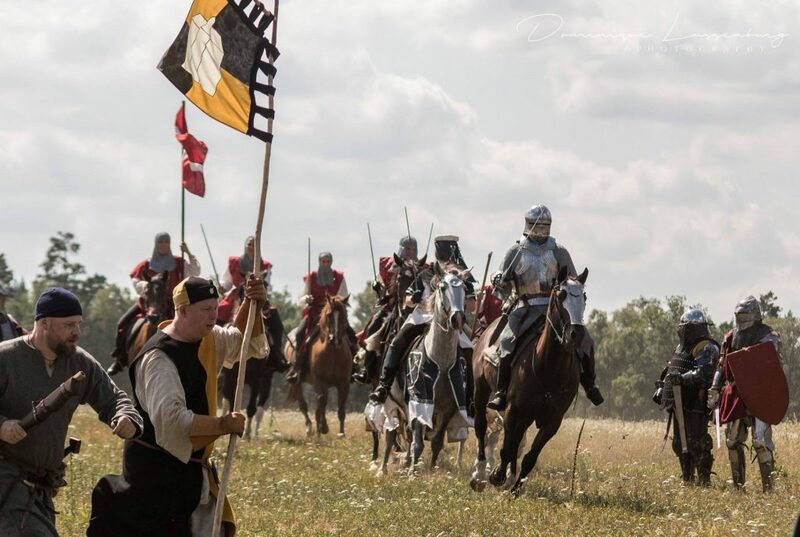 I really think this event is one of the highlights of the summer, as the surroundings are just astonishing. Its this white washed castle by a lake, far out on the country side, and it is a fairly big market where everyone is living medieval style in tents. Its just such a cozy and warm atmosphere. 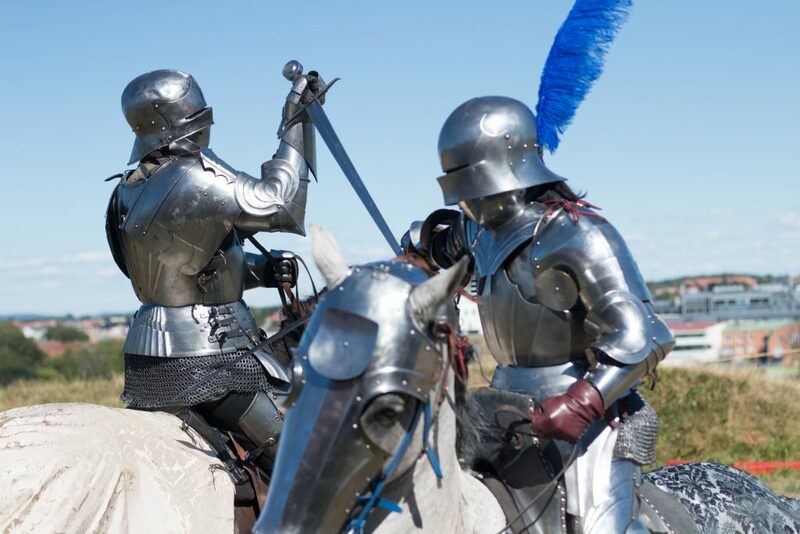 And the battle is also really fun, as we meet fully plated guys so we can just go nuts and bash. The more furious we are, the happier the event master is! 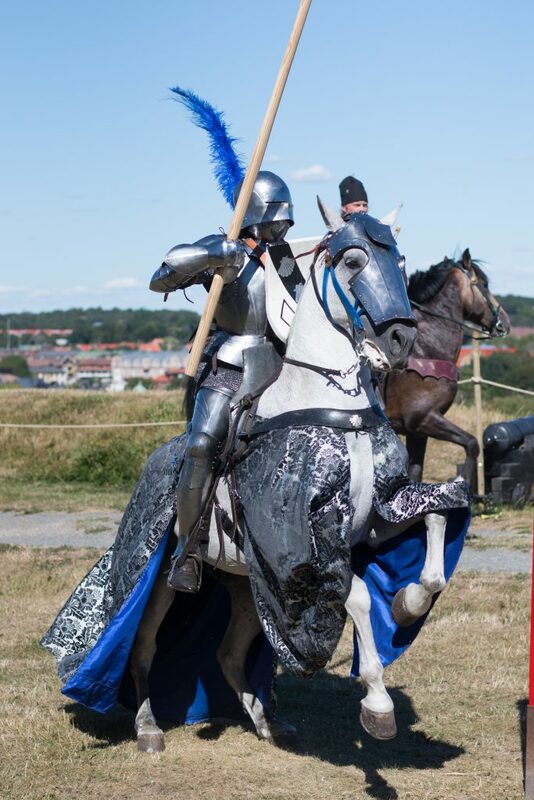 This year my horse wasnt really ready for it, so he stayed at home, therefore I thought I was just going as ground crew, but then one of the other riders had a spare horse, so I got to lend him. 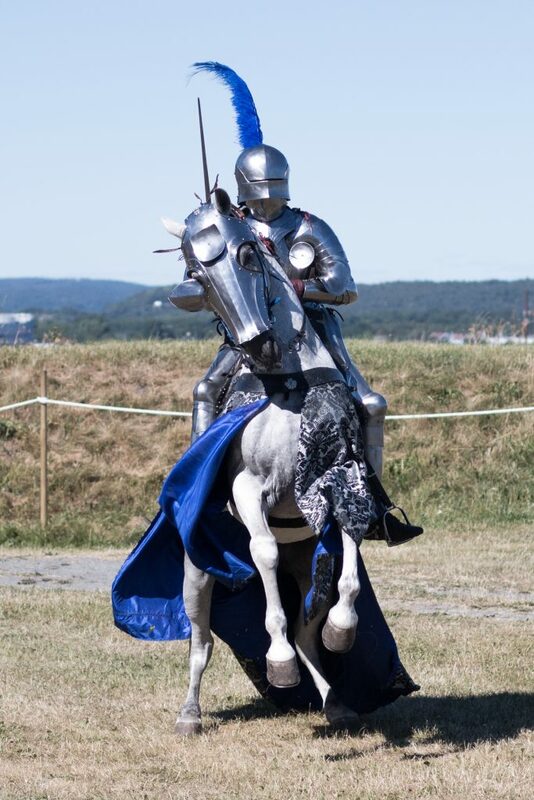 It was a bit of an adventure, as it was Jojjes, the horse, first event, and my first time ever riding him on the rehearsal friday evening, and then we had two shows, one saturday and one sunday. 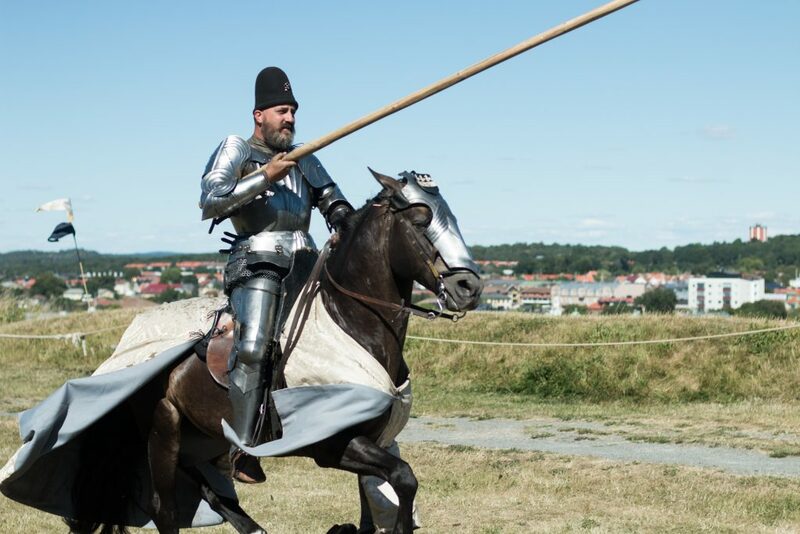 But he did splendid, I didnt push him to get into any real fights, but we followed the other horses, and got to clink some sword, so all in all it went really well. As I said we only had two performances during the entire weekend, so the rest of the time was spent walking the market, socializing, looking at the beautiful Torpa stenhus, go swimming in the lake, just enjoying it. Saturday evening some of the foot soldier guys where sparring in the camp, so I asked if I could join, and ended up sparring the entire evening. It was so much fun! 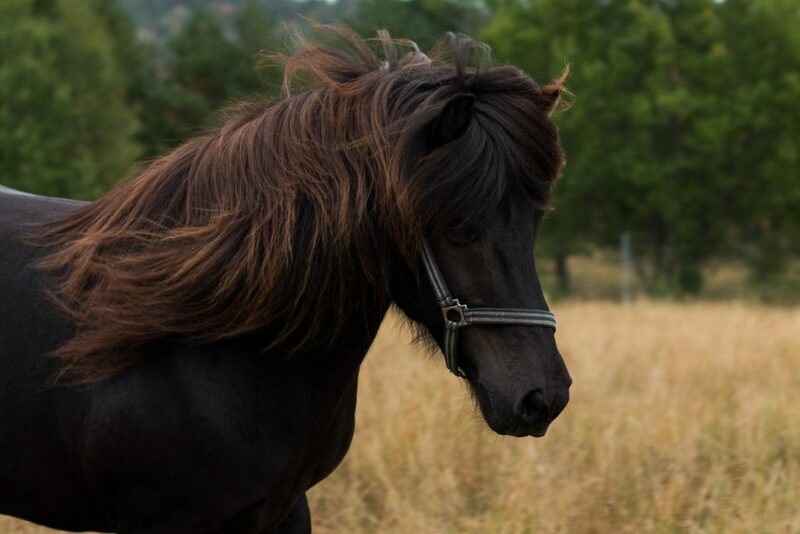 Talhoffer is a very sensitive boy and he has some trust issues with people, therefore I have been very restricted with pushing him away in any sense. Always wanting to encourage him to come closer and not wanting him to feel unwanted, if that makes sense. 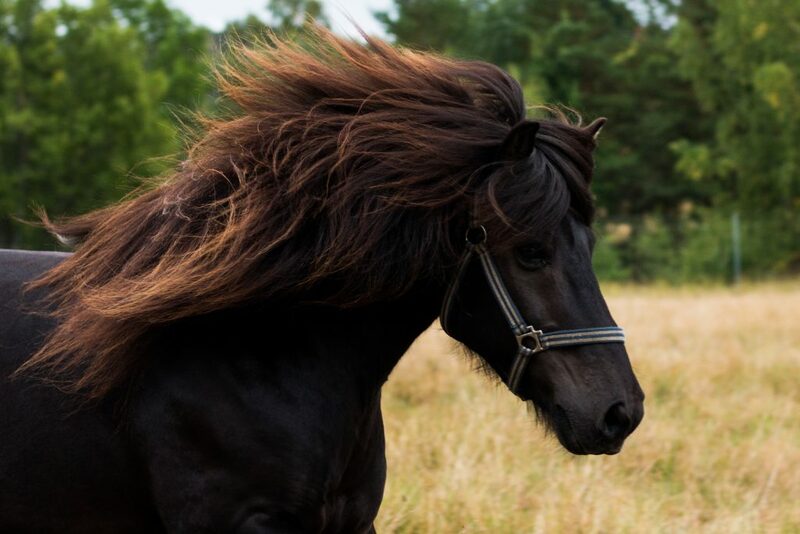 But then yesterday I wanted to take som photos, and I thought I could make him canter some in the pasture. You dont need to chase Talhoffer in anyway, its enough with just pointing and taking, not even a step, and he takes off and I really thought out trust fund would be stable for a task like that. But it wasnt, so when I was going to catch him afterwards he was too wind up and didnt wanted me to get near him. He gets like that sometimes and I dont think he is actually scared of me, only that he gets so caught up in himself that he doesnt really see me. 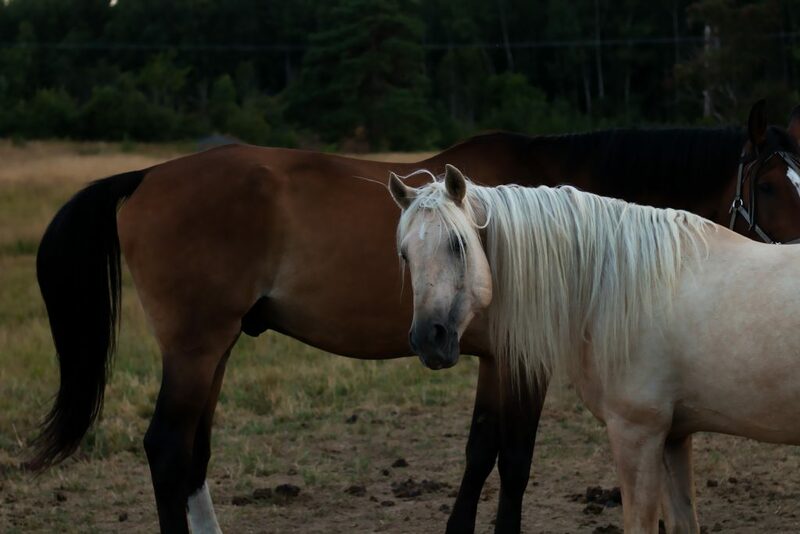 The thing is when he was dodging me around the other two horses, one got annoyed and left and the other, Fred, who is very old and huge, started to acting up as well. I thought he was going to chase Talhoffer so I was about to tell him off, when I realised, Fred was helping me! He corned Talhoffer against the fence everytime he tried to bolt off, and told him off until he stood still and I could catch him. It was so amazing seeing the calming effect Fred had on him. And as usual,, as soon as I could touch him there was no issue. But it was also nice to see that later when I was going back to the pasture with Talhoffer, I got proof that our trust fund wasnt completely drained. 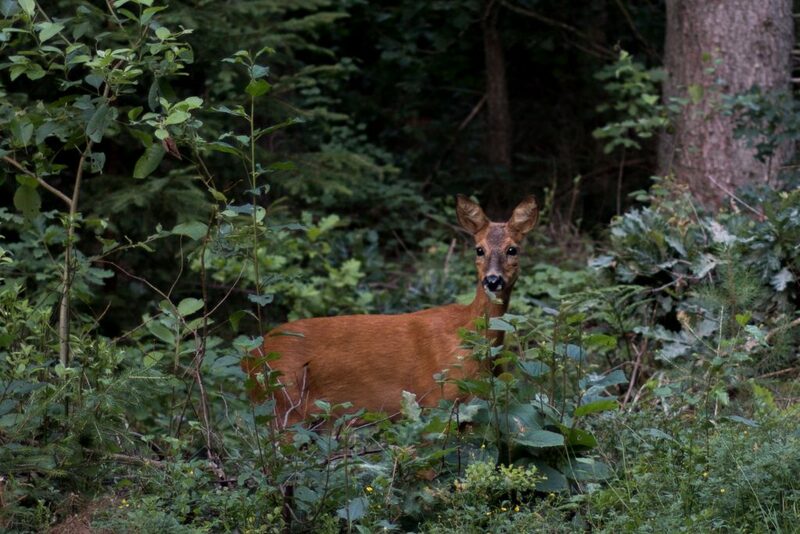 We met a deer in the woods, that stood and watch us for some time, but then it bolted off into the forest, which made Talhoffer bolt the other direction. I couldnt hold him, so I had to let go off the lead rope, but Talhoffer only cantered a few strides, and then stopped, turned to look at me, and then I could just walk up and take the rope and carry on. Then when we got back to the pasture, Talhoffer for some reason ran off to the opposite side of the pasture from where the other horses where. So he got a bit winded up when he couldnt find them. Fortunatly the other horses are abit brighter so they came and met him,and then Fred, once again went up and just calmed Talhoffer down. Talhoffer was then just rubbing against him and just wanted to be close. So sweet to see. 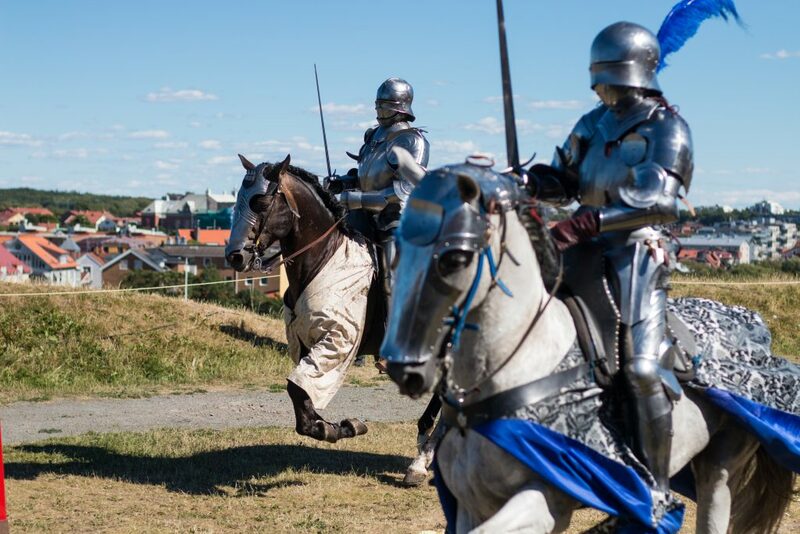 This weekend I met up with some friends to go to the medieval fair at Varbergs fortress. 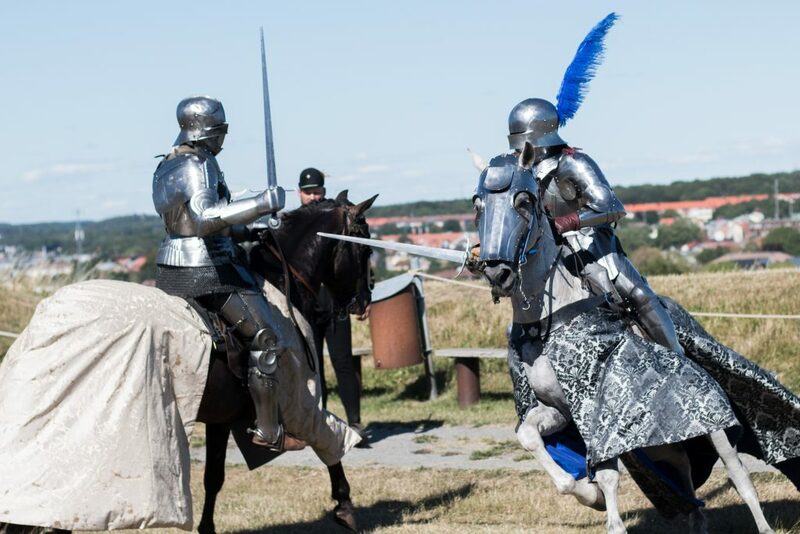 I attended at lecture from Albrechts bössor that was named “Armour – the knight from the inside out”, but when they came into the room they where dressed in the usual 14-15th century foot soldier garbs, and I was like, No, are they gonna claim this is knight armour? Really? 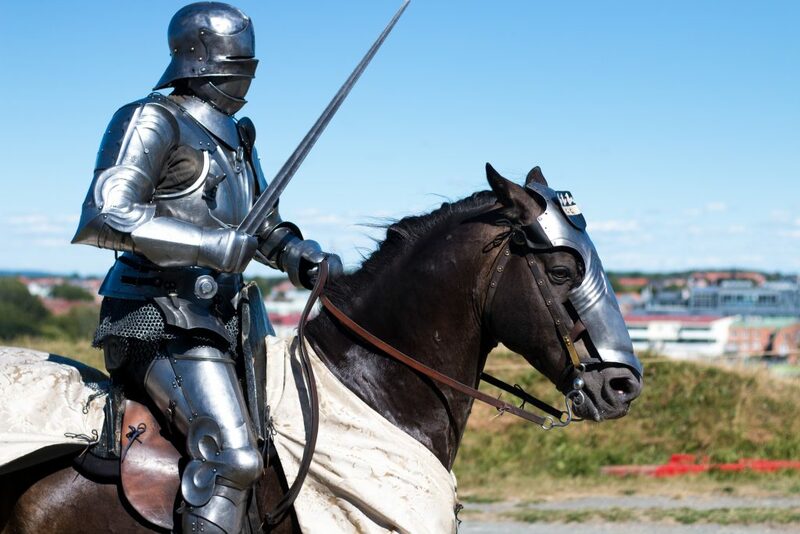 But I shouldnt have been worried, they really knew what they where talking about and the first thing they said was “you all been lied to, this is not the knights armour from the inside out, as you can all clearly see, we are not knights”. 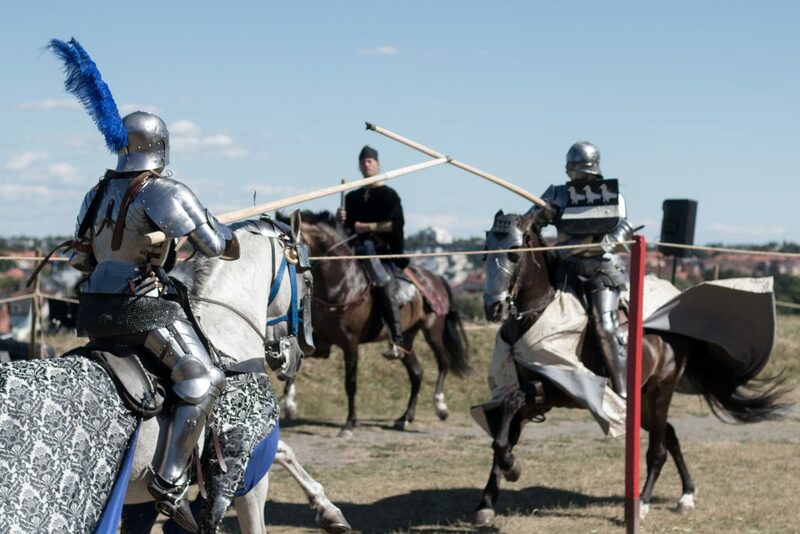 But apparently it was thought to draw in a bigger crowd if the word knight was used, which is probably true. All in all a very interesting lecture, even though I got to bit my tongue a few times to bite down the urge to answer some of the audience questions. 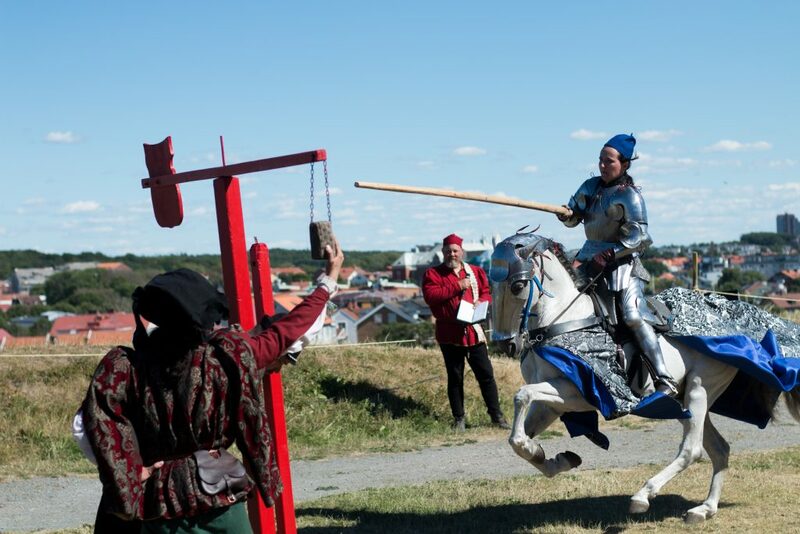 The highlight of the visit was of course the knight tournament. 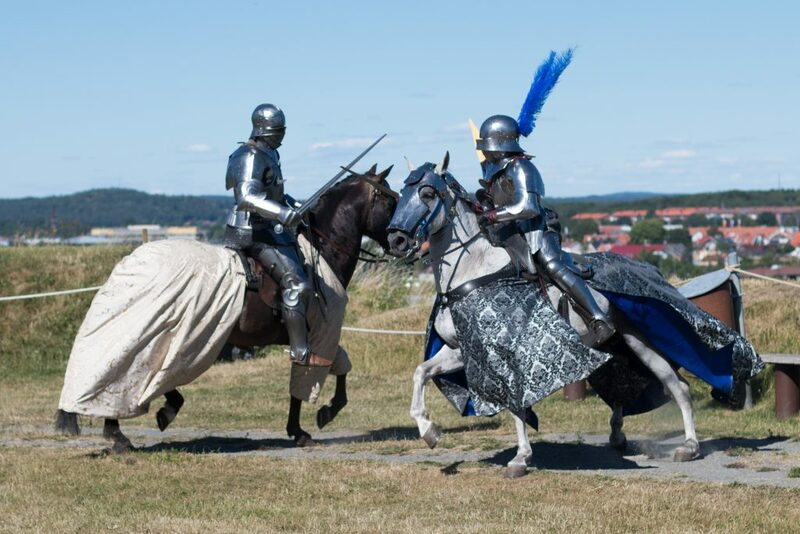 Which for once, and maybe for the first time in Sweden, was authentic 15th century. 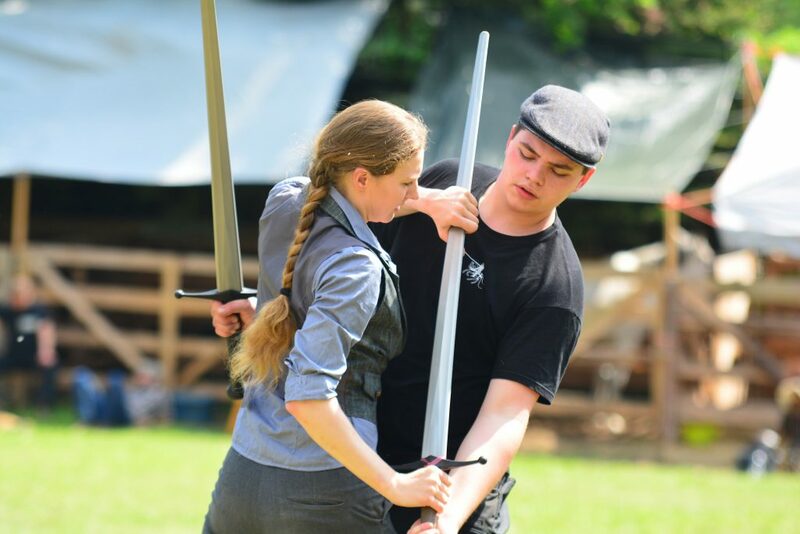 It was conducted by the Stichting HEI, a group from the Netherlands, which of one of the members is Arne Koets, who I train for. This time they had three riders, Wendy and Bertus, who I also met in Germany and who where the combatants, and Wouter who was the judge. It was so nice to see the real stuff, the gear is amazing, and the riding is fantastic. 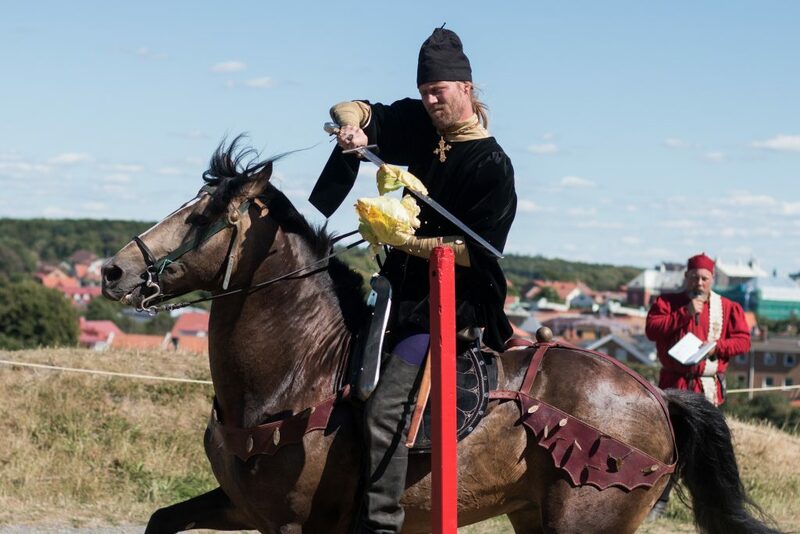 They are all excellent riders, but there is something special with Wendy and her horse Yasta. I got to sparr with her in Germany, and they are so insync, and even though it sometimes gets intense, her riding is always so nice. After the show we visited them in the camp and looked at their saddles. 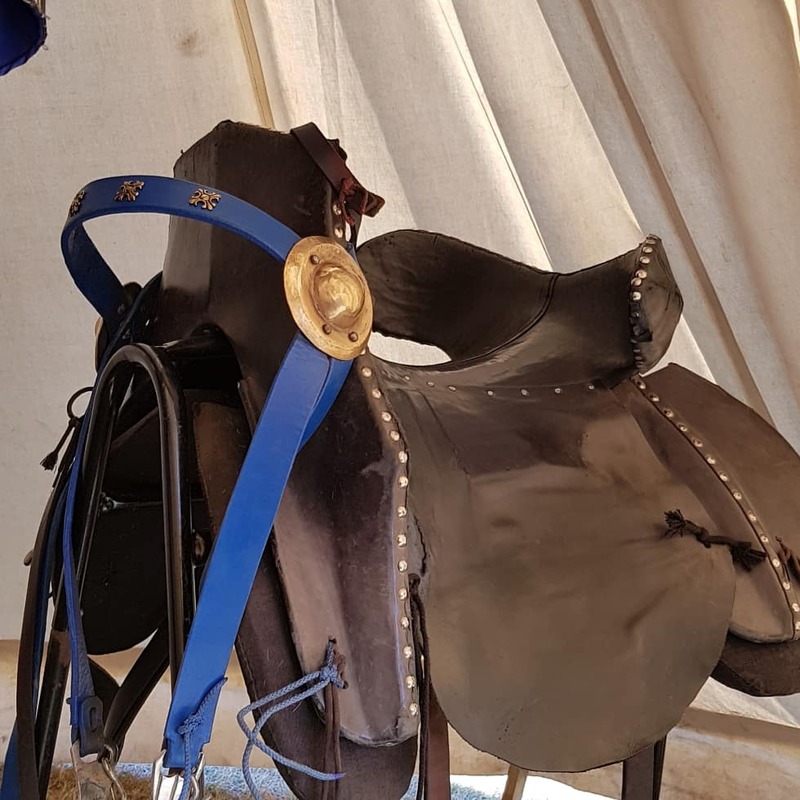 My friends Kristian is a saddle maker and have made a couple of medieval saddles and Im hoping to get one in a not to distant future. So we both take every oppertunity we can to look at saddles first hand. Last week my dad was visiting and of course he wanted to see Talhoffer. Talhoffer was in a very nice mood, he had his days where he suddenly freaks over basic things, but not this day. I saddled him up and rode for abit in the arena and when I was done dad asked if he couldnt have a go. 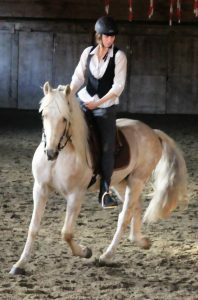 I was a bit hesitent as I never had a beginner ride him, and I had experience rider having difficulties. I just saw for my inner eye Talhoffer sprinting one way and dad going the other, but thought if you never try you never know. Said and done we got dad up in the saddle, which was a tad to small for him, and to short stirrups. But off we went, and it went remarkable nice! True Talhoffer didnt really want to leave my side and I had to try to get dad to understand that you had to move the shoulders on him, not just kick him with the feets…. and also that he is on a curbbit so you need to get the outside when one turns. But all in all, it went pretty nicely considering dad is a beginner and Talhoffer is… well Talhoffer.